A long list of Brazilian talents had an incredible year in the biggest stages in 2018, like UFC and Bellator stars Amanda Nunes, Thiago Santos, Jessica Andrade, Renato Moicano and Patricio Freire, and others look up to them as they rise up on the regional scene. As a new year starts, we return with our traditional list of Brazilian fighters that are worth keeping an eye on in 2019. Will they succeed? Glyan Alves, 24, is the reining Shooto Brazil super bantamweight (140 pounds) champion. The 13-3 talent has won five in a row, four of those over the last calendar year, including a quick first-round destruction of former champion Luciano Benicio. Leonardo Limberger is riding a nine-fight winning streak that boosted his overall record to 12-1. Training under the tutelage of heavyweight veteran Pedro Rizzo and Laerte Barcelos, father of UFC fighter Raoni Barcelos, the 24-year-old talent is the current Shooto Brazil featherweight champion. Herbert Batista had a rocky start in the sport, going 4-3-1 between 2012 and 2016, but turned things around two years ago by winning seven in a row. “Matagal”, 27, showed a diverse skill set competing in the regional scene and an incredible heart in his international debut under the ACB banner. Jackson Loureiro, a member of the legendary Chute Boxe team, was victorious in all but one of his professional fights. At 7-0-1, with five finishes to his credit, the 24-year-old lightweight recently won a championship title in Serbia, finishing his opponent with a series of knees to the body. Kaue Fernandes, alongside his brother Kaua Fernandes, is one of the most highly touted prospects from team Nova Uniao in Rio de Janeiro. At 23 years of age, Fernandes is 5-0 as a professional, stopping four of his opponents and claiming the Shooto Brazil super featherweight title (150 pounds) in August. Ariane Cristina started her career with a defeat, suffering a submission loss to future UFC fighter Amanda Ribas, but has been perfect ever since, winning 11 in a row with stoppages in all but three of those contests. The 26-year-old talent won a four-woman, one-night tournament in November. Geraldo de Freitas, who at one point of his career held the Shooto Brazil bantamweight belt and never lost it inside the cage, is riding a six-fight winning streak which includes a win over Bellator veteran Zeilton Rodrigues. “Espartano”, 27, is 11-4 as a professional mixed martial artist. Lara Procopio is another interesting prospect from Nova Uniao team. Born in 1995, Procopio made her amateur debut in 2014 before racking up a perfect 6-0 record as a professional between 2015 and 2018, capped off by a Shooto Brazil flyweight title win. Rafael Ramos, 22, is undefeated in seven professional bouts with four of those victories coming by way of stoppage. 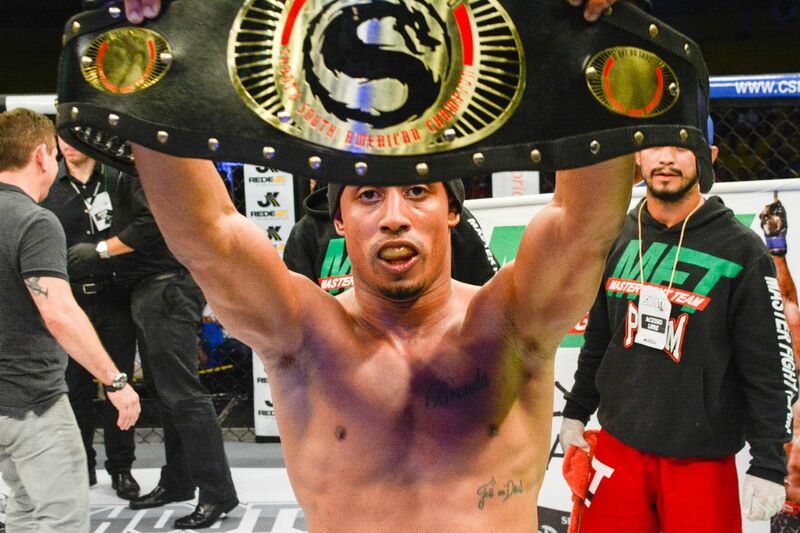 The Macapa native captured the Shooto Brazil flyweight belt in June. Luis Rafael could have made the list years ago if he hadn’t fought questionable opposition for most of his career. “Japa”, 26, holds a 33-1 record in the sport. After suffering the first loss of his career in 2016, “Japa”, who competes at both 135 and 145, says he asked his coach to face only tough competition going forward. Since then, he won two in a row, including a featherweight title win over a fellow Brazilian in Serbia in December. Worth keeping an eye on who he faces in 2019.